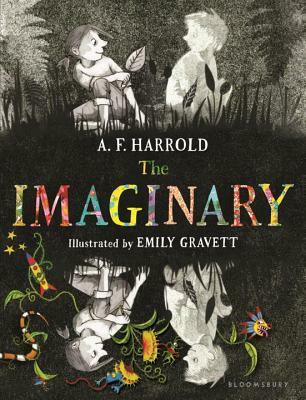 While Harrold has a singular voice, he’s channeled some of Roald Dahl’s delicious, wry creepiness in this astonishing middle-grade novel. Amanda’s imaginary friend, Rudger, accompanies her on many and various adventures. Her mother finds this charming, though Rudger is invisible to her. But not to everyone. A mysterious Mr. Bunting and his own imaginary friend can see Rudger, too – and they have nefarious plans for him. An accident that lands Amanda in the hospital introduces Rudger to a whole world of imaginaries with complicated rules and relationships. Emily Gravett’s brilliant illustrations take this terrific book over the top. Kids with imagination and pizzazz will be reading it over and over!